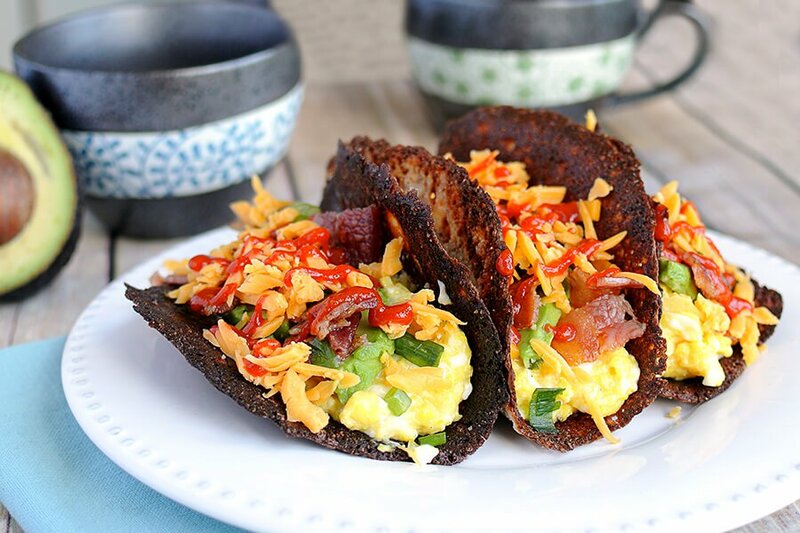 Boy, do I wish ketogenic breakfast tacos grew on trees. If you don’t have a breakfast taco tree in your backyard either, this is the next best thing – it doesn’t get much easier (or high-quality and delicious) than this. Bacon, egg, cheese, greens, and some immunity-boosting spices will have you rocking your weekend. The only way to screw this up is to source terrible bacon, eggs, and cheese. This is pretty easy though, because the worst ingredients are generally the cheapest and most accessible. Cheese – avoid the fluorescent pre-shredded cheeses with preservatives that will make it last a lifetime. Go for full-fat and made from raw milk. Ghee Butter – Ghee is clarified butter, which means it’s simmered longer to bring out the flavor. This also removes the water and milk fats, leaving a high-smoke point and more nutritionally rich. This makes it better than butter because it’s packed with short-chain and medium-chain fatty acids and butyrate. If you aren’t doing ghee, Kerrygold brand does a fantastic job of churning out grass fed butter. Eggs – Don’t go with the cheap caged eggs and don’t be fooled by marketing like “vegetarian-fed” (chickens aren’t vegetarian). Organic on the label is a good start but “pasture-raised” is the ultimate. 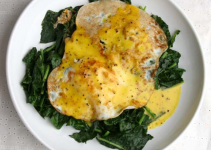 You will notice the deep yellow yolk which means it tastes better and chock-full of nutrients. Bacon – Pastured and sugar-free (sorry, no candied bacon on keto). Just like in humans, grain-fed animals have an extremely high amount of inflammation. This inflammation leads to a high amount of inflammatory omega-6 fats in the tissues of the animals, and these fats are transferred to us when we eat them. Enough out of me, it’s time to get cooking! 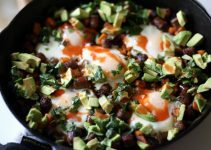 The skillet is perhaps my best friend on a ketogenic diet, and our relationship is moving to a whole new level with this one. Boy, do I wish ketogenic breakfast tacos grew on trees. If you don’t have a breakfast taco tree in your backyard either, this is the next best thing. Cook bacon first, you can pan fry it or pop it in the oven at 350F until crispy. Set aside. Shred your cheese with a cheese grater. Heat skillet on medium high heat. Once it’s come to temperature add the ghee into the skillet. Sprinkle the cheese into the skillet in a circle. It will begin to melt almost instantly. Once all of the cheese is melted and bubbling, crack the egg into the center of your cheese circle. Sprinkle the yolk with salt, pepper and turmeric. Cook here for 2 minutes until the egg begins to become opaque and the cheese begins to brown. Cover with a tight fitting lid and lower the heat. Cook covered for 2 minutes. 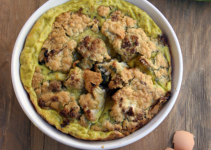 Remove from heat, the egg should be fully cooked and the cheese crispy. Carefully slide your cheese egg onto a cutting board or dish. Use two bowls or cups, or even the cheese grater to hold up the sides of the sheet taco so that as the shell cools and hardens the sides stay up. Add in your bacon, arugula and cilantro. Grab your shell and dig in. Eat over a plate because you don’t want your yolk to run all over the floor!